A sick kid is not a fun kid and a fever in a little one can be really scary. Keeping track of their temperature can be a bit tricky since children aren’t known to be great with thermometers and if they’re throwing up or anything, it can get forgotten. 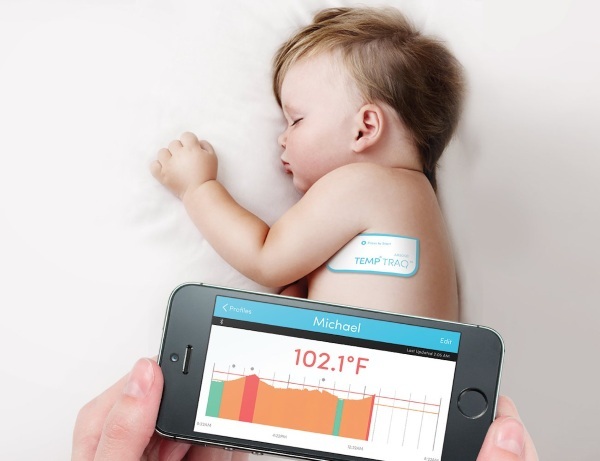 Enter Temp Traq, a wearable 24 hour thermometer designed track children’s fevers. 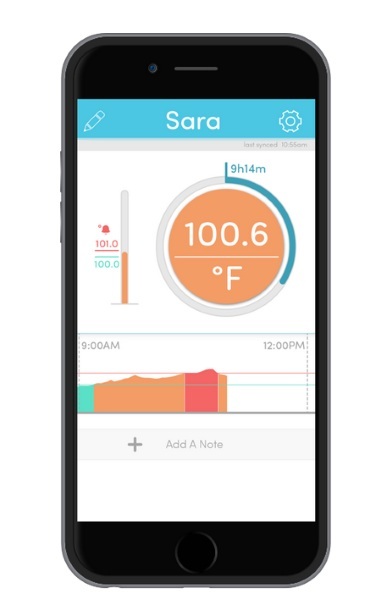 Temp Traq is a single use thermometer that attaches to the child. The read out goes directly to your smartphone over a 24 hour period. So you can see when the fever goes up and when it (hopefully) goes down. The patch can withstand normal wear and tear so your little one can shower while it’s on. The real magic is in the app that tracks the fever. It not only gives you an idea of what is happening temperature wise but also allows you to set alarms so if it goes above a certain degree, you know right away. No more waking your kid up or coaxing them to hold a plastic tip under their tongue. Temp Traq is $24.99.